Stand up comedy is a passion of Pam Ford. Her life so far including; growing up in Australia, divorcing twice, coming to London with two aussie kids in tow to start a new life. Surviving lifes ups and downs, giving her unique advice on life (from a hairdresser to a Pub landlady) and how to dust yourself off and bounce back stronger than ever. This towering six foot Aussie diva, is an energetic performer, with her quick wit and wealth of material she is adaptable to many varied age and demographic of audience. Beginning her comedy career whilst still a full time Pub landlady and single mum, she soon out grew her little Kent village pub stage to perform all over the UK and Europe on the entertainment circuit. 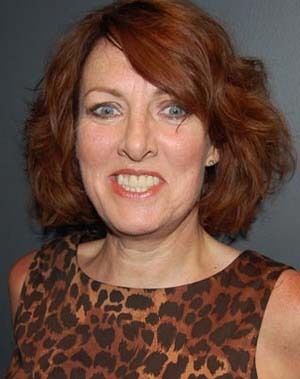 Pam is a regular Compere and Comedian in Comedy clubs, Theatres and for Charity events and fundraisers. Previous clients such as AKU, Motor Neurone Society, MS society, In 2015 European 16 day tour of Norway with her 'Happy in your skin' show. The Hague Netheralnds. Womens networking companies in Bromley Kent and Londons GLA. Plus numerous Rugby/cricket & football clubs. Motivational speaking with humour and inspiration she will spark your imagination to go further and be the happiest you can be! Do not settle for what you've got. Put on your powerful pants now, A great way to start your day.